Different ways to wear a bandana! I hope all you lovely people are well. Today I’m doing a post on a few different ways on how to wear a bandana. The past few weeks I’ve loved wearing mine and exploring different ways how to wear it so I thought I’d share it with you guys. As this is a perfect accessory. 1 – Simply wearing it around your head. This is how the majority of people wear it to be fair. Primarily because it’s the easiest as well as the most casual. I love wearing it tied at the back as well as a bow at the front either way it looks super cool. 2 – Wearing it around your neck. If your not a fan of wearing it on your head you can easily tie it loosely around your neck and wear it like that. This would look quite nice with just a plain t-shirt and would easily style it up. 3 – Tying your hair up and tying a bow at the front. I love wearing it with my hair up as it keeps any little hairs nice and back and also I think it look so damn cute. 4 – Wearing it around your wrist. Finally, again if your not a fan of wearing it on your head you can tie it around your wrist as an accessory which looks so awesome. I love it!! 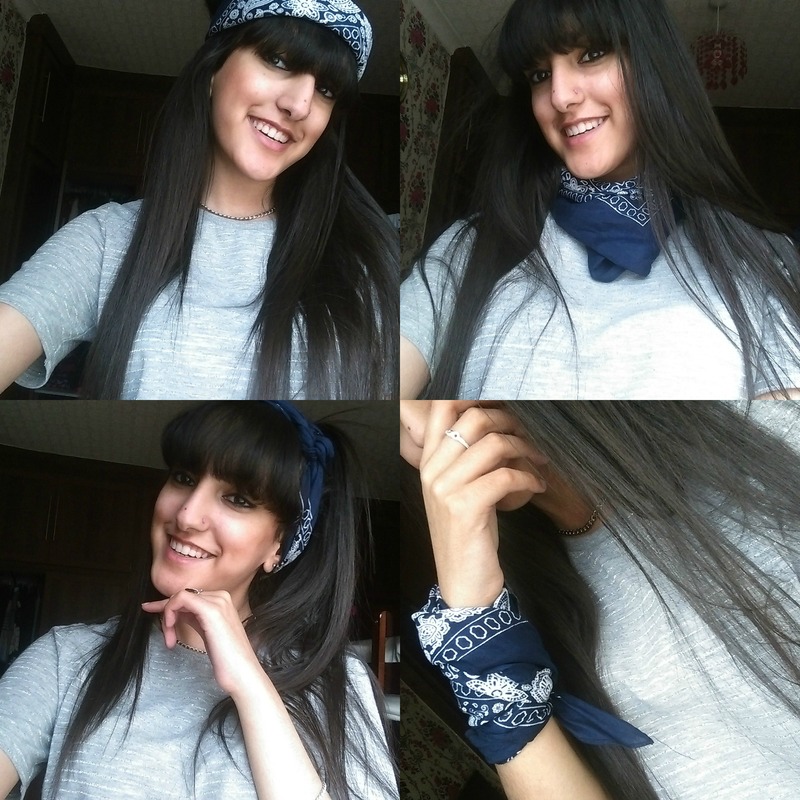 That’s four simple&easy ways on how to wear a bandana! If you want more posts like this do let me know. What’s your favourite accessory? Comment Below.